You make our country proud! Kathryn Bernardo and Daniel Padilla won big awards at Vietnam's 2017 Blue Star Award-Face of the Year Award. The announcement was made yesterday, January 12, through the Instagram posts of Star Magic, the talent management arm of ABS-CBN, and the one that handles Kathryn's and Daniel's careers. According to the posts, Kathryn won the Favorite Foreign TV Actress award, while Daniel won the Favorite Foreign TV Actor award. The love-team partners were nominated for their work in the 2015 remake of the hit teleserye Pangako Sa 'Yo, which originally aired from 2000 to 2002. The TV series also got nominated in the Favorite Foreign TV Series category. GMA stars Andrea Torres and Mikael Daez were also nominated in the Best Foreign Actress and Best Foreign Actor categories, respectively, for their work in the TV series Ang Lihim Ni Annasandra (2014). ABS-CBN stars Meg Imperial and JC de Vera also joined the list of nominees in the same categories for the TV series Moon of Desire (2014). This isn't the first time for KathNiel to be recognized by the awarding body. In 2015, they bagged the same awards for Got to Believe (2013). 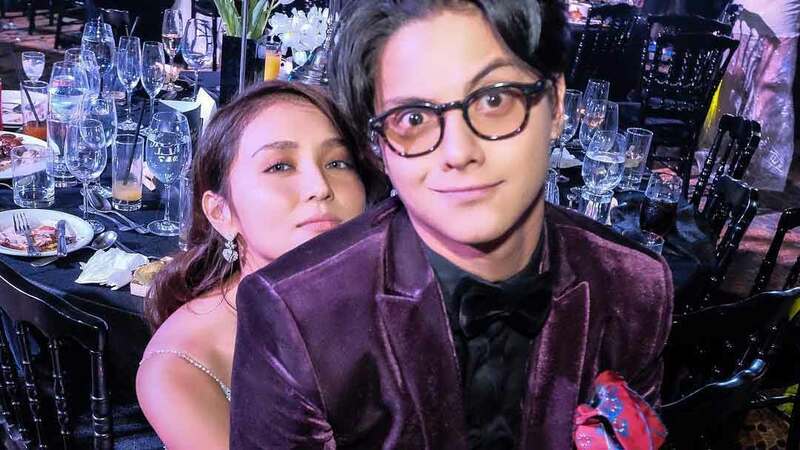 The onscreen—and rumored offscreen—couple couldn't make it to the awarding ceremony, so they thanked their fans and supporters through a video. Congratulations, KathNiel and all the nominees!